Paris’ famed Musée d’Orsay, renowned for its collection of Impressionist paintings, is going to be home to a different kind of legend from January 6 to 28, 2011. 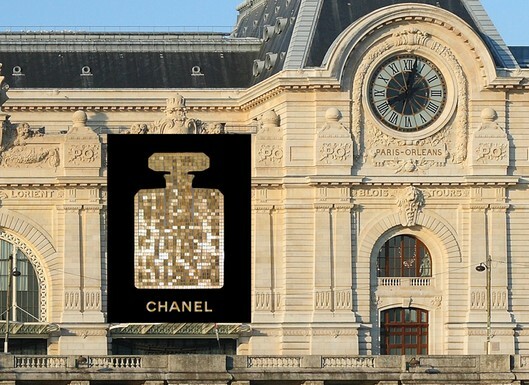 During these three weeks, one side of the museum will be draped with a mammoth Chanel No. 5 bottle, made entirely from 1,200 hand-assembled sequins. The display will cover 2,890 square feet of the museum’s exterior, and will be visible from the Seine river. Rather a decadently innovative form of advertising that you’ve conjured up there, Mr. Lagerfeld!